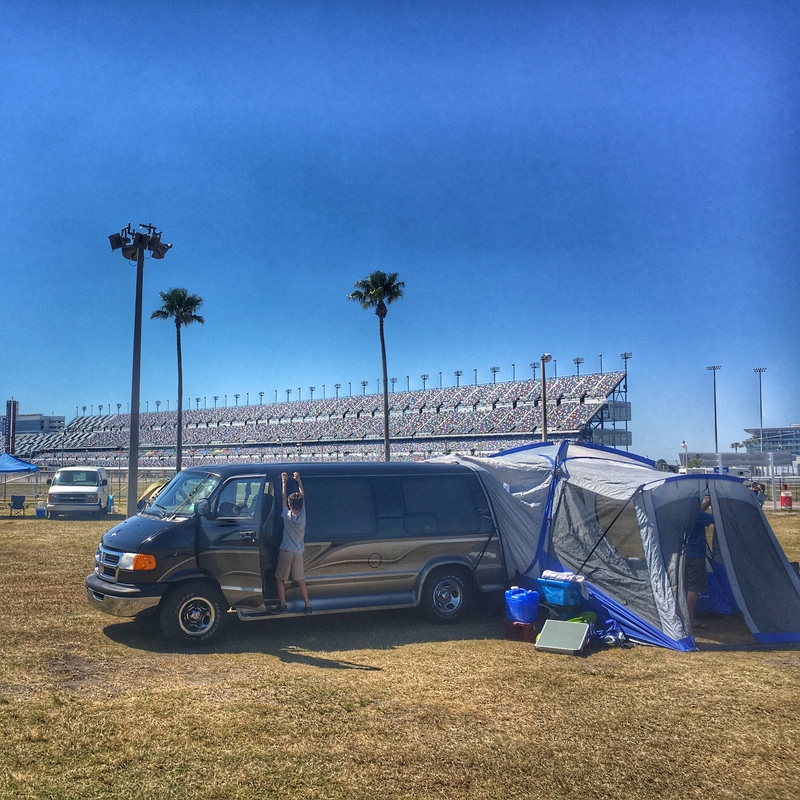 Happy Van-iversary – Don't make me turn this van around! 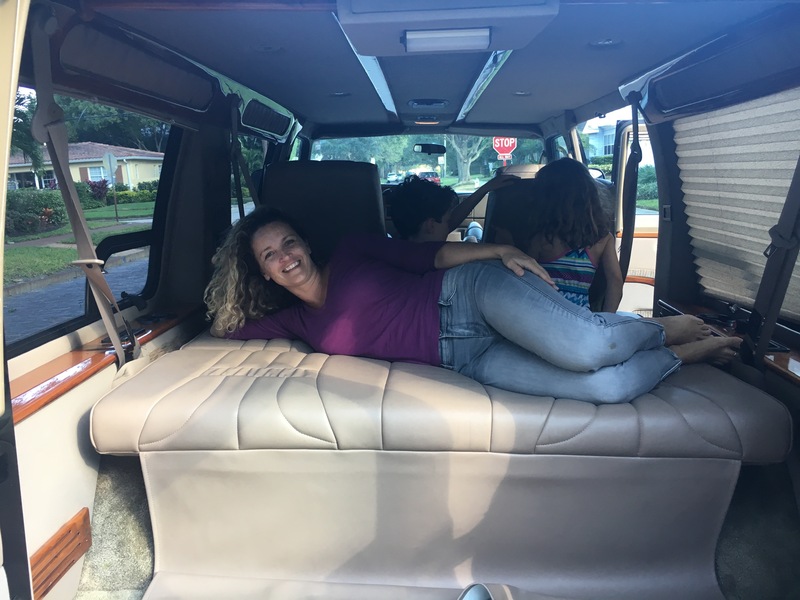 On Thanksgiving 2017 we received a call back from a nice couple who was selling a sweeeeet van. We’d already looked at the vehicle, but it was promised to a buyer coming in from out of town. Alas, that party backed out and the van was ours. November 25 is our Van-iversary. On day one, Monica sized up the “way-back” seat. 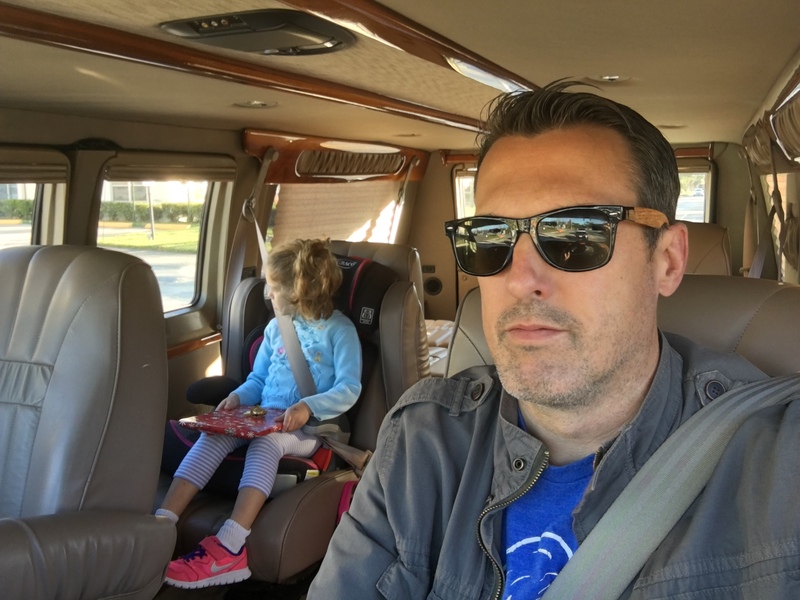 I’ve lost count of how many fellow dads have pulled me aside and quietly admitted their envy. “My wife would never go for it,” they lament. Some people aren’t too keen on a vehicle with so much stigma surrounding it. Vans are creepy. Weirdos live in vans. Weirdos who live in vans send pipe bombs in the mail and get arrested on national news. I know that some of the Little League mom’s were hesitant to talk to me. Without my wife in sight, I looked like a divorced dad who kept the kids in his van every other weekend. I have a friend who drove a Miata for several years after college. Our group of friends has teased him relentlessly for twenty years about that cute little ride. I know people mutter comments under their breath about the van – but no one in their right mind would say anything to a van driver’s face. Rock star? Kidnapper? No, just hitting the carline. No, I’m just an average guy whose wife picked out a badass van. The stigmas disappear when Monica is around. She looks like a boss behind the wheel. 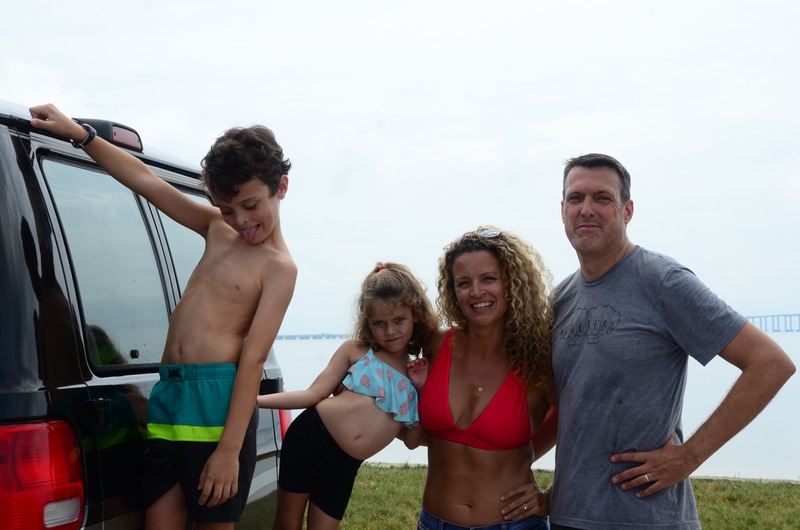 People might expect her to have about 3 more kids than we have, but a woman who’ll forgo the minivan for the maximum version is someone to take seriously. When she steps out of the driver’s side, she looks like she’s holding yoga classes inside. And unlike a woman who drives an F-150 pickup with extended cab, there’s no rural sentiment behind the van as we roll through the city. No Kenny Chesney will come out of this sound system. The van spans cultures. With Monica around, the van is transformed from lurking menace to 17 feet of high-performance cross-country comfort. 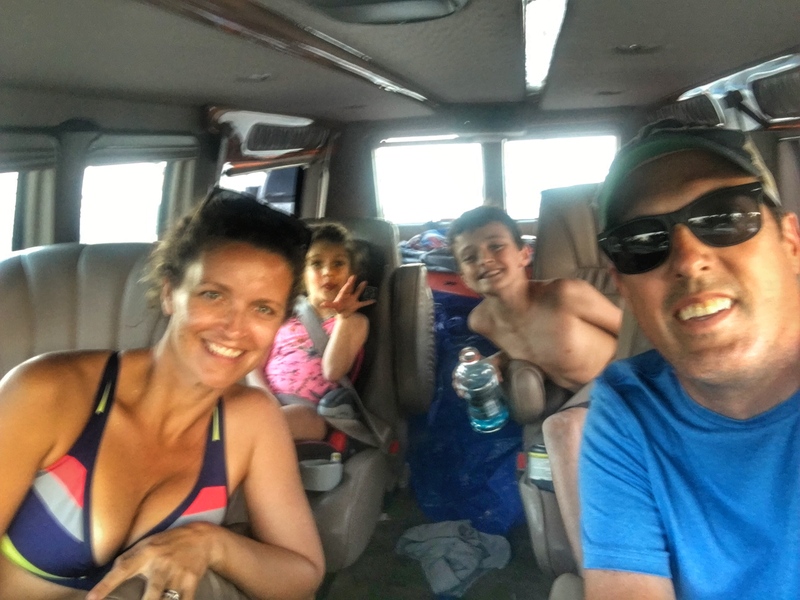 At this point the van knows the way to the beach without the need to steer. The van also offers function you simply don’t get from other vehicles. It’s a rain shelter, it’s a changing room, it’s a place to take a nap, and it’s a hotel. And our’s still looks like it did when it rolled off the lot sixteen years ago. 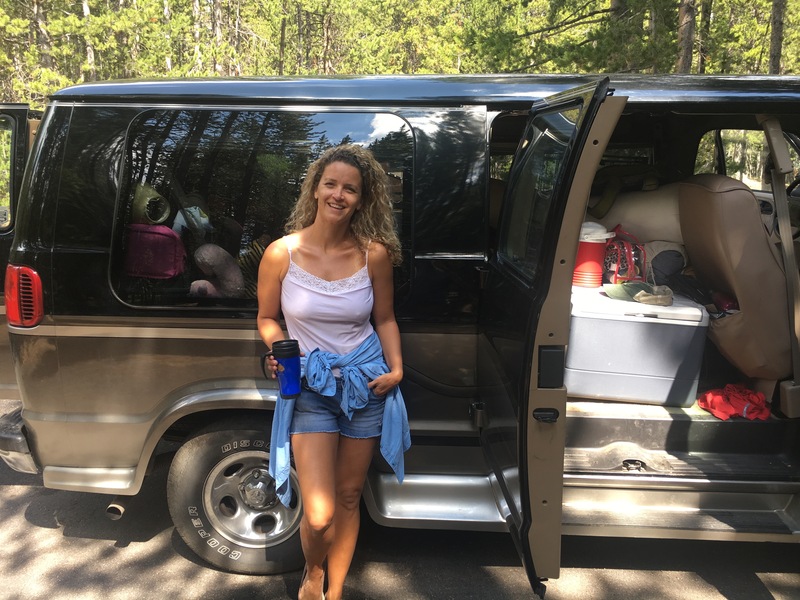 The first owner put 17,000 miles on the van in fifteen years. We added another 18,000 miles this year. 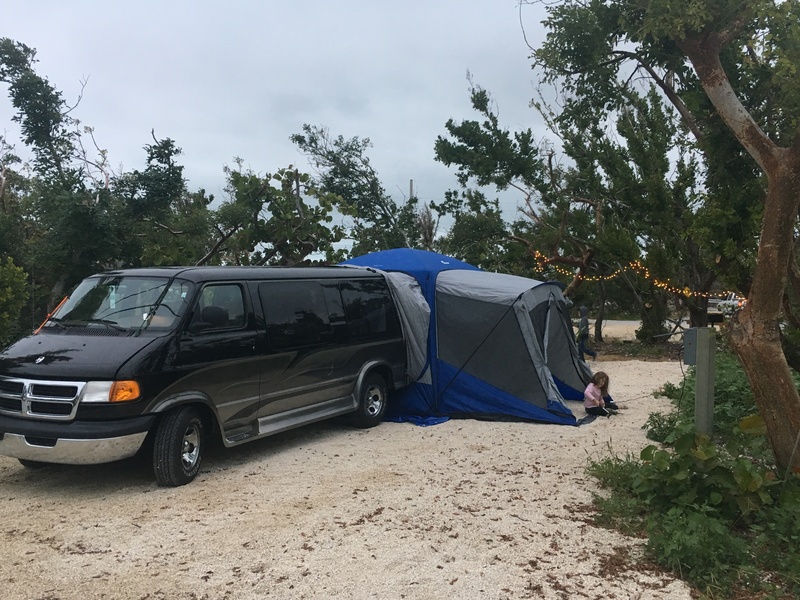 Our maiden voyage to the Florida Keys found record low temperatures – in the 60s. 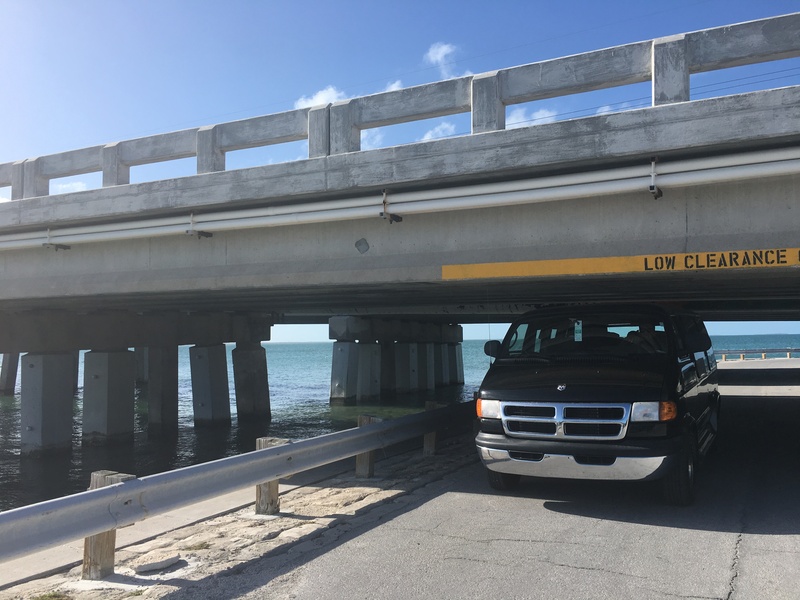 Another “Southernmost” trip taught me the importance of knowing the height of the vehicle. We’ve been denied access to a parking garage or two. Father-son trip to Daytona 200 motorcycle race. He hung on to the side-board all the way across the state on I-4. One of my favorite stops all summer was one of the first: The Great Smoky Mountains. Death Valley. 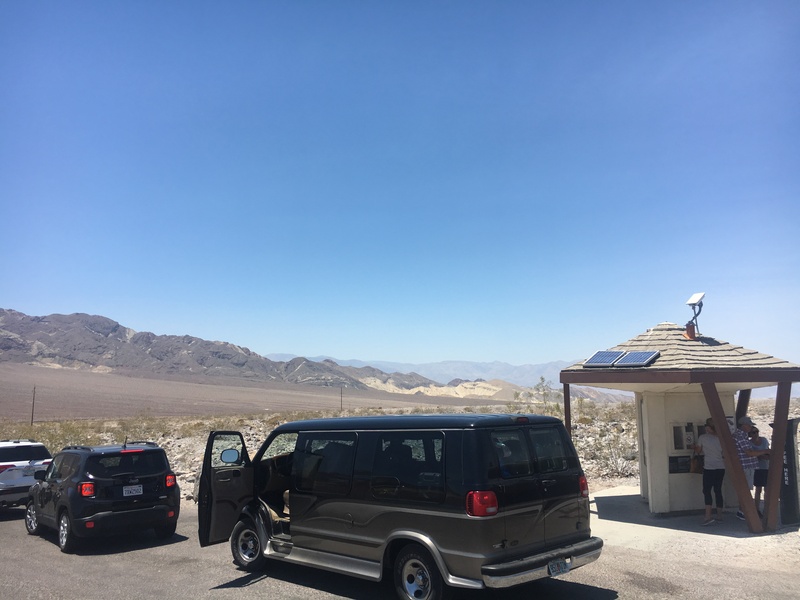 On the van’s toughest drive, we dropped 5,000 feet into the abyss and followed it with a nearly 10,000 foot climb to Tioga Pass. It was 117 degrees that day. 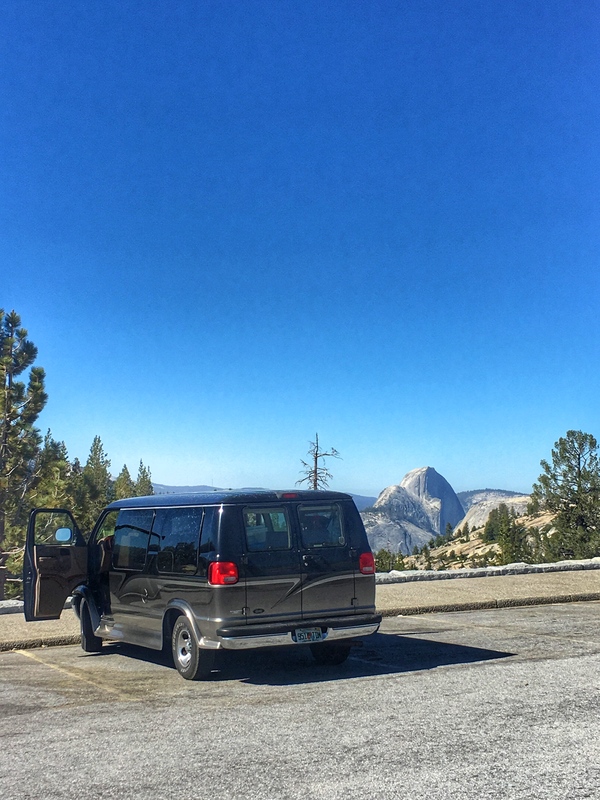 Near that 10,000 foot pass, the van gazes at Half Dome. We already have a few new adventures on tap in the coming year. 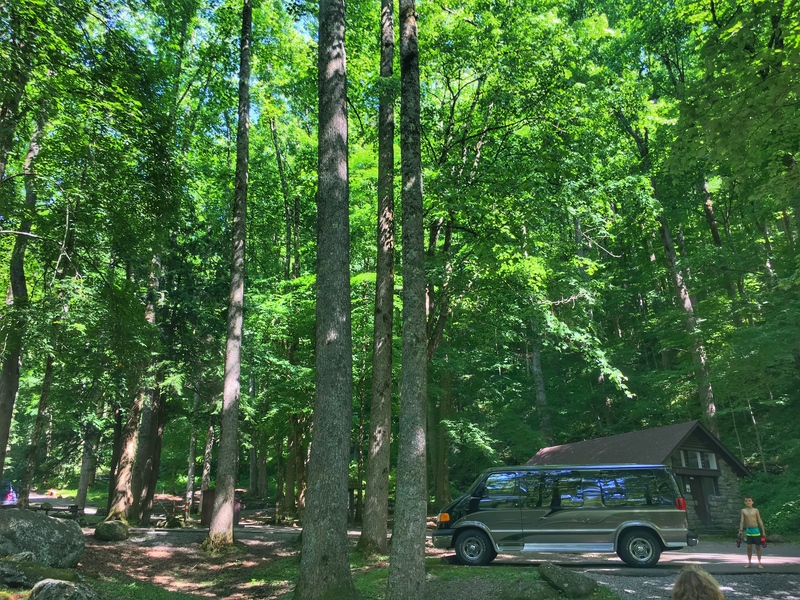 Without spoiling it too much: we’ll hit a beach campground we’ve never visited, I’ve planned a father-son trip to a different race track, and we’ll meander some Southern back-roads this summer. We will also board a plane for a land that can’t be reached by van. Stay tuned for more on that. In the meantime, the van is due for some service and about 99 more trips through the school carline where the teachers no longer look at me with wary eyes. No, sleep ’til Brooklyn… or Staten Island or Queens or the Bronx or Manhattan. Hey you guys, what a wonderful van. A belated Happy Thanksgiving!!! Your van looks amazing !